and having our clients’ backs. We feel very fortunate for the experiences we’ve shared building beautiful homes for such great people in our own neighbourhoods since 2007. It hasn’t always been easy, but the fulfilment of helping homeowners realize their vision of a new home is worth it. The mutual respect we share with our team and the clients we serve with a focus on construction quality and a “putting homeowner’s first” attitude allows us to deliver a solid Project and Construction management system. Averra Developments was founded on the simple idea of working on quality projects for genuine people. 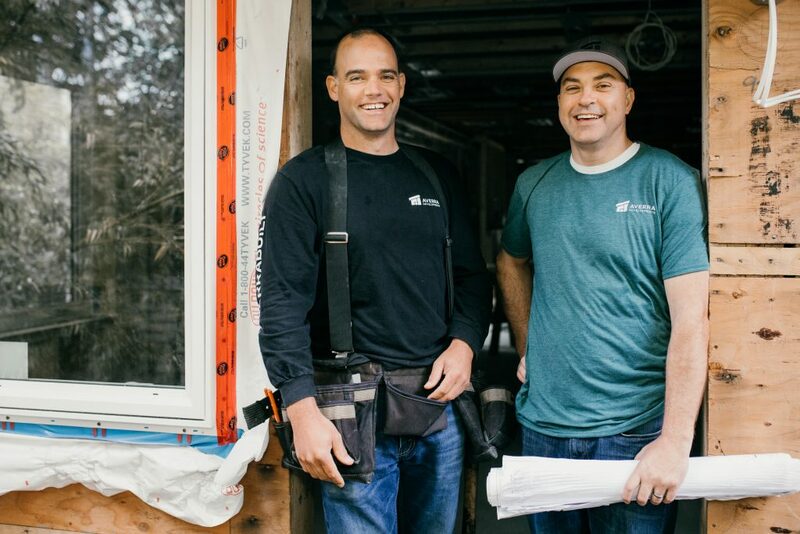 Whether it’s a modern new build off Main Street, a house raise off Cambie, or a new duplex in Mount Pleasant, we’re proud to bring our high level of quality and genuine excitement to every project we get our hands on. Commitment to our hard-working, transparent approach to custom home building in Vancouver has resulted in our excellent track-record of happy homeowners. For more testimonials check out our reviews on Google, Houzz and Facebook. After you have an initial client consultation with us and if you are seriously considering working with us, we can arrange for you to speak directly to past clients for direct validation of their experience working with us. We look forward to the future and hope you’ll give us the opportunity to work together with you; to build your dream home and exceed your expectations with quality and craftsmanship. Long story short, we’re all about taking on projects that showcase quality and attention– a serious helping of stellar design doesn’t hurt either.